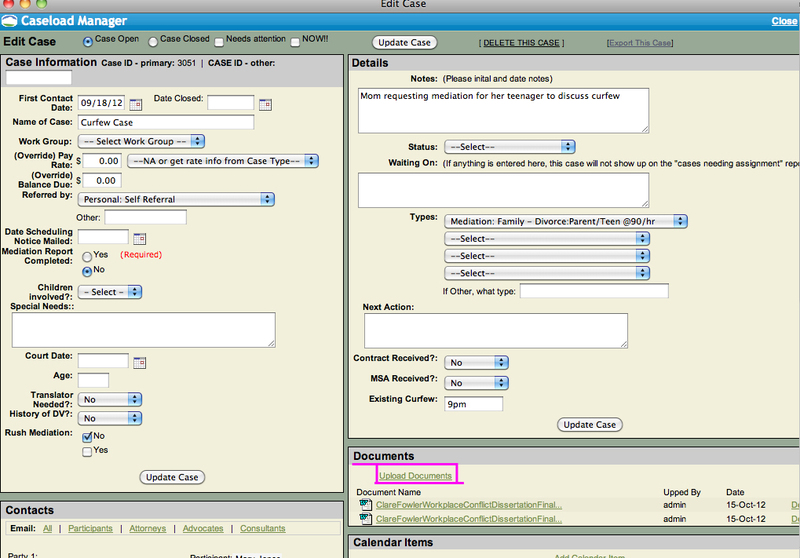 1) To load documents into a case file, click on that case. In the documents section, click the link that says Upload Documents. Then navigate to the document on your computer and upload it. 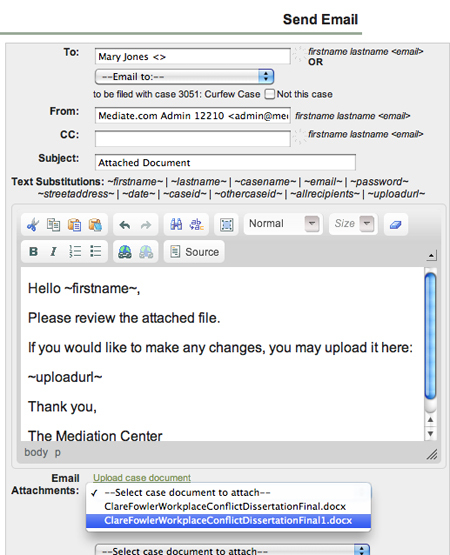 2) Second, you may also attach a document to an email that you do not want to save to a case file. To do this, from the Mail Manager, at the bottom of your email click Upload Documents. Make sure to do this first--before you type your email.